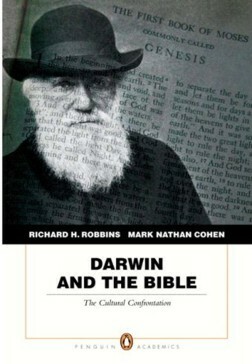 A couple of months ago we had two posts based on a book Darwin and the Bible: The Cultural Confrontation – (first, second). This book was designed (with only modest success) to “help readers understand the nature, history, and passions behind the debate between scientific and religious versions of creation and human origin.” Today I would like to return to this book and address the concerns of the penultimate chapter. Is “turmoil” a common experience? If so, what can we do to help students, in high school, college, and beyond, weather the storm? How do you think these issues should be approached in public schools? Do you think Christian schools should present “both sides”? Perras describes her upbringing (northern USA, Methodist, not fundamentalist), her initial inherited view of creationism (typical young earth variety), and the experience of confrontation. Several years later a senior project (attempting to prove that creationism did work and evolution was just a guess) led to discovery of a number of problems: Genesis 1 and 2 are not entirely compatible stories of creation; evolution at some level did exist and undeniably; and Christians have various views on the topics. Perras wound up defending a day-age, microevolution view in her project. By the end of her first year of college when this essay was written she was leaning toward theistic evolution as an approach to the issues of science and faith. It is imperative that students learn about evolution, but it is also important that they are given a chance to learn about their faith. Both needs are equal. Students do not deserve to be given an education that neglects one approach and asserts another belief that is contrary to their religious beliefs or scientific studies. Compromises can be made. (p. 184). This problem – the “conflict” between science and faith – is often given as part of the reason for loss of faith (see the chapter on apostasy in Scot’s book Finding Faith, Losing Faith: Stories of Conversion and Apostasy for some discussion and personal stories). Turmoil certainly describes the experience of some people. Does “turmoil” describe your experience? on College and University campuses? In your experience what works – and what doesn’t? Does the discussion of Intelligent Design (that intelligent design was involved and that the effects of this design are empirically discernable) help or hurt? If you would like to comment please see Jesus Creed. This entry was posted in Evangelicalism, Evolution and tagged Darwin. Bookmark the permalink.